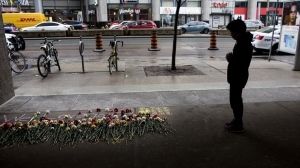 TORONTO - Barely a week before Chris Egi arrived at Harvard for his freshman basketball season, Michael Brown was shot and killed by a police officer in Ferguson, Mo. Egi and Brown were both 18. They were both black. They were both about to begin college, and the teen's death - and too many more that would follow - became woven into Egi's experience at Harvard. When the 22-year-old from Toronto was selected out of more than 100 applicants to speak at Harvard's convocation last May, the Crimson's team captain with the gap-toothed grin talked about Brown. And on Friday, the organization No More Names, of which Egi is a founder, will launch its “10,000 Voices” social media campaign, a virtual protest to remember the people behind the names, and combat the issues of criminal justice reform and police brutality. The six-foot-nine forward was one of Canada's most talented young players, captaining Canada's U18 and U19 teams in 2014-15 that included first-round NBA draft pick Dillion Brooks. He also teamed up with first-round picks Tyler Ennis and Trey Lyles at the U19 world championships in 2013. In 2014, he helped a Montverde Academy team that featured Ben Simmons and D'Angelo Russell win a coveted U.S. high school title. But Egi would rather talk about Brown. And Eric Garner, who died in 2014 after an officer put him in a chokehold. And Stephon Clark, shot and killed by police in Sacramento last March. That spirit of contribution was learned early. Egi's parents - dad Anthony and mom Christiana - were Nigerian immigrants. His dad, who died earlier this month, was a compassionate outspoken man who came to Canada alone at age 16. He delivered pizzas to fund his way through college. His mom operates a nursing home for people with Alzheimers. In between basketball and working toward his economics degree, Egi was involved in several campaigns at Harvard. One of them - #ThankYouBlackWomen - became the impetus for No More Names. The campaign included a video and photos highlighting black women on campus. Egi wrote a poem. The campaign was “kind of a love letter, or a thank-you note to the black women in our community,” he said. But the feedback wasn't entirely positive. So they held a small benefit on campus to support black women living with breast cancer. Then Clark was shot dead weeks before Egi's final semester ended. 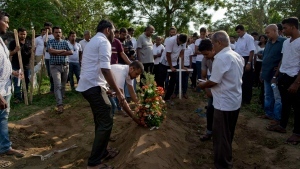 The deaths of Brown, Clark and others whose dreams had been “deferred and denied” formed the framework for his convocation speech. “At Harvard graduation, Michael Brown was spoken about . . . for his spirit to be evoked at our graduation, that meant a lot to me, and hopefully that message resonated with the people at the event,” Egi said. And within three weeks of Clark's death, Egi and some friends had organized No More Names, what started as a benefit concert featuring Chicago-based rapper Vic Mensa that raised over $7,000. Dr. Harry Edwards - the architect of the Olympic Project for Human Rights that led to the famous black power salute by Tommie Smith and John Carlos at the 1968 Olympics - sent a video message. Atlanta Hawks guard and Harvard alum Jeremy Lin made a donation. No More Names has grown to include all eight Ivy League schools this year. They'll all participate in Friday's 10,000 Voices initiative, which Egi described as a tech-infused campaign to empower voices and allow people to share stories and names across social media platforms. “We can document live all the stories about the different people who have been victims of this issue,” he said. But don't call Egi an activist. Egi chose not to pursue a pro basketball career after Harvard. “I'm a quote-unquote men's league all-star now,” he said with a laugh. He lives in New York and works for Goldman Sachs' private capital investing group. But he'll carry the lessons learned from the game through life. Still months removed from his competitive career, watching basketball remains a “love/hate” thing. He cheers on the Canadian players, though, who are enjoying unparalleled success. 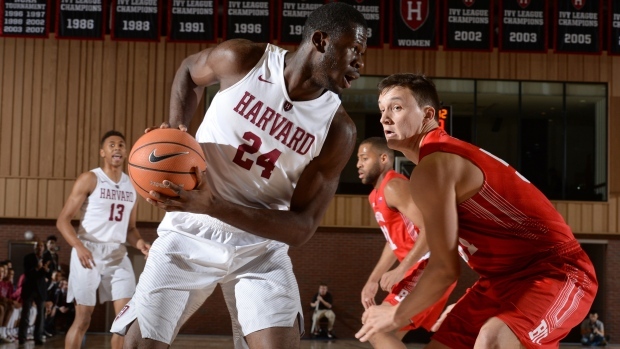 Tip-ins: Harvard has three Canadians on this year's roster: Noah Kirkwood and Corey Johnson of Ottawa, and Danilo Djuricic of Brampton, Ont.